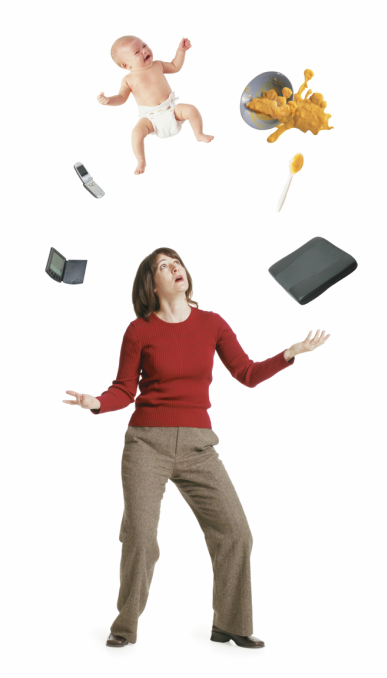 Do any of the following problems apply to you? 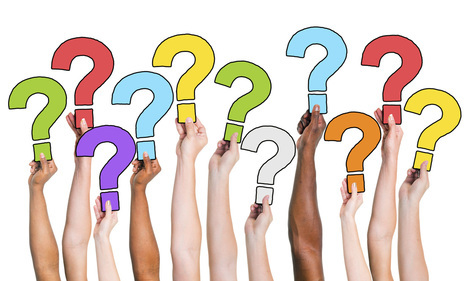 If you've encountered any of the above-mentioned issues, don't worry! You are definitely not alone. Studies have linked factors affecting our emotional well-being -- such as stress and anxiety -- to an increase in skin problems. 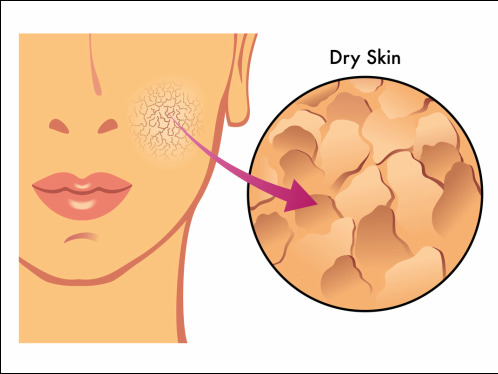 For example, Dr. Richard G. Fried (MD, PhD, FAAD, of Yardley, Pa) explains that stress can result in dehydrated skin as well as acne lesions that are more inflamed and more persistent. The problem is that if you're like most people, you would find regular skin care difficult to do. Your busy schedule keeps you from sticking to any one skin care routine. There are so many products out there that you can't be sure which is the best for your skin. And when you finally do have time to go the distance with your skin care, the effects do not last long. A facial would complement the beauty that you already have by further enhancing the quality of your skin and heightening your confidence -- two of the more valuable aspects of beauty. 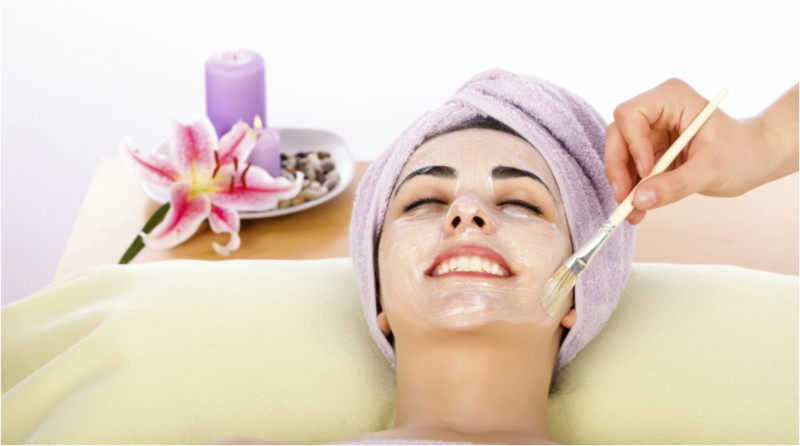 A facial involves massaging the face, which helps to promote blood circulation and to firm the facial muscles. Depending on the needs of your skin at any one time, the application of special products or facial masks on your face can help to stall or slow down the aging process, lighten up your skin or even clear most blemishes brought on by stress and free radicals in the air around us. "Taking care of our skin is such an important step. No amount of makeup can replace the beauty of naturally radiant, healthy skin"
What's Really Happening With Your Skin? The skin's top layer is called the epidermis and acts as the body's physical barrier against harsh environmental factors such as UV rays. The middle layer is called the dermis and this is where collagen and elastin can be found - both of which are the reason for elasticity, strength and firmness in your skin. As aging happens, the top layer of skin thins, providing less physical protection. 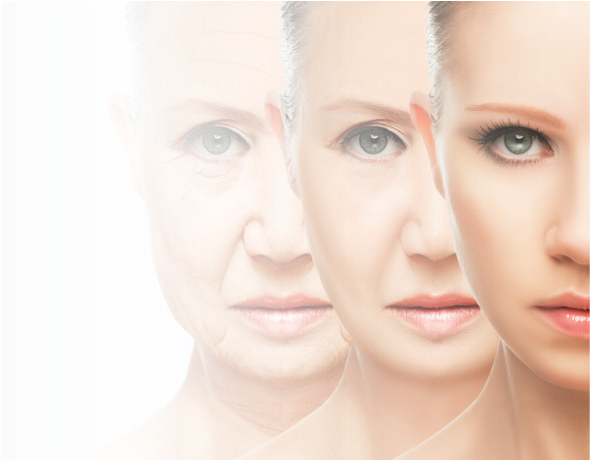 Collagen and elastin production also decreases thus resulting in your skin losing elasticity and sagging. 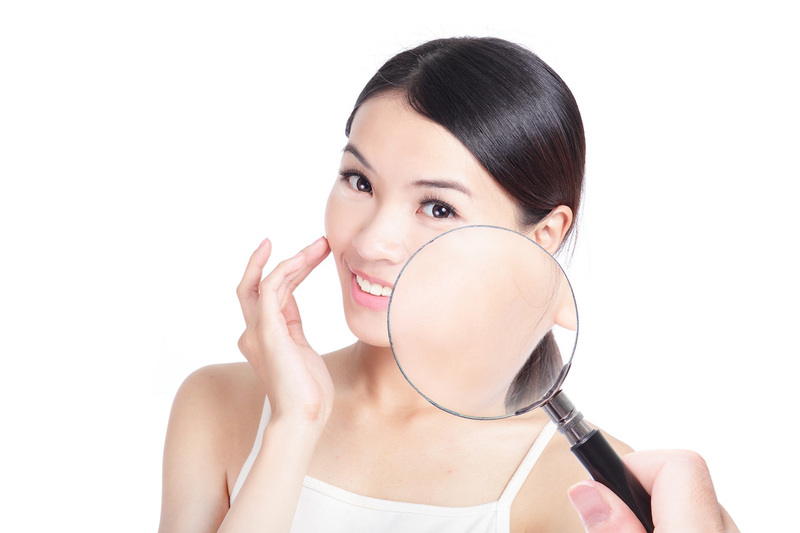 The most widely used method to reverse aging is by applying anti-aging skin care products. Some people also use sunscreen to protect themselves from the sun's damaging rays, while others try to spend less time in air-conditioned places. The skin glands produce sebum - an oily substance preventing the skin from drying out. When too much sebum is produced, skin follicles get blocked. Bacteria (usually harmless) that live on the skin are able to infect the blocked follicles, causing the surrounding skin to become red and sore. In some cases, pus can be produced, leading to spots, nodules and cysts. The face, upper back and chest are the areas with the most follicles. 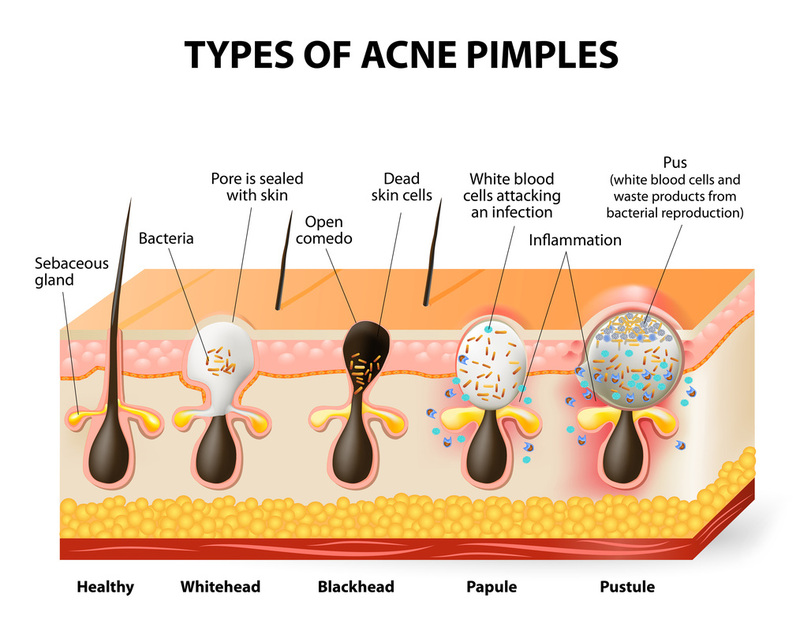 This is why acne tends to happen in these areas of the body. 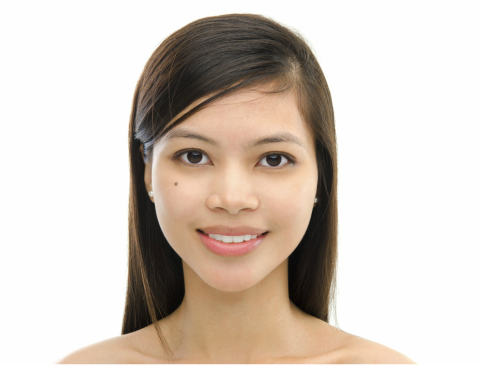 Most people combat acne by applying effective anti-acne creams or serums onto their faces. There are also many people who use less make up, apply ointments or cleanse their faces often. When the skin is damaged by UV rays and is dehydrated, it gets uneven tones and becomes flaky. Flaky skin traps light instead of reflecting it and thus appears dull. Drastic changes in temperature, and dry air-conditioned surroundings would also contribute to your skin's significant loss of water. Many people tend to slather on lots of moisturiser onto their faces. There are also those who use whitening, brightening or creamy types of face wash to counter the dullness. But no matter what methods you use, the biggest challenge you'll face is finding the exact right solution for your skin that works long enough for you to enjoy the benefits of firm, healthy, radiant skin. When we found these to be the top 3 reasons for ineffective skin care, we asked ourselves a series of questions. Why is it that even with the thousands of skin care products and options in the world, there's still a lack of an effective long term solution? Should skin care really be this difficult? "Would it be possible to transform the conventional facial care experience?" 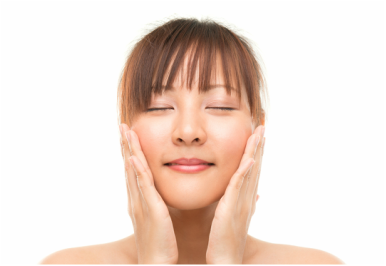 a series of east-meets-west techniques and steps mastered by our facial therapists that will completely change the way you experience facial skin care and the results you get out of it. 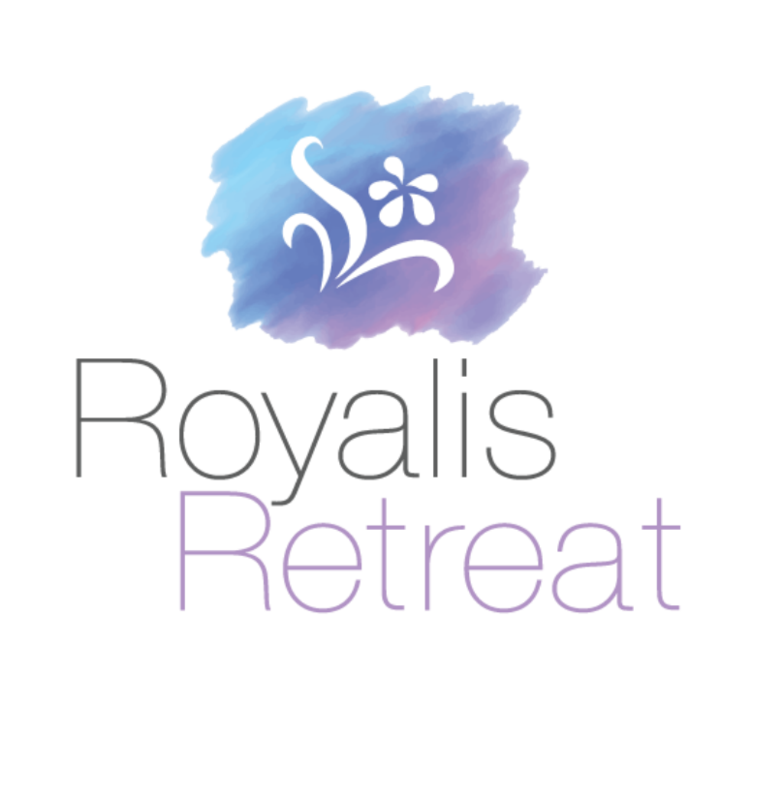 Aura Royalis Spa is Singapore's Leading Spa when it comes to catering to your needs and we have just the solution for you! 3 proprietary elements that you won't experience anywhere else. The best facial massages follow a rhythm consistent with your breathing. A touch that comes at the wrong moment could throw off your relaxation. 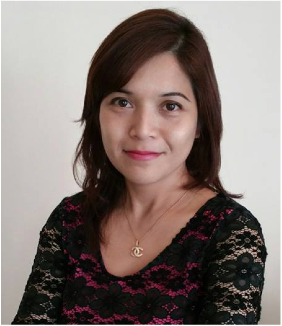 Our facial therapists have been well trained in this art so that you can enjoy a smooth, immersive and tension-free facial treatment session. 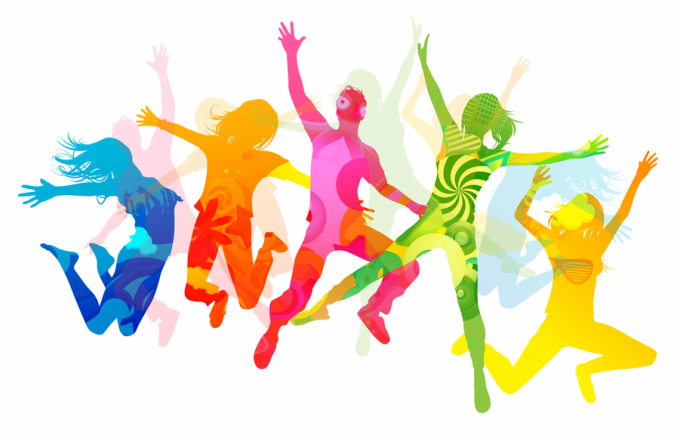 What you feel is largely affected by your surroundings. 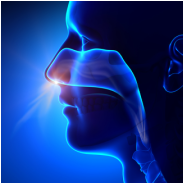 Our sense of smell can most affect our feelings and emotions. 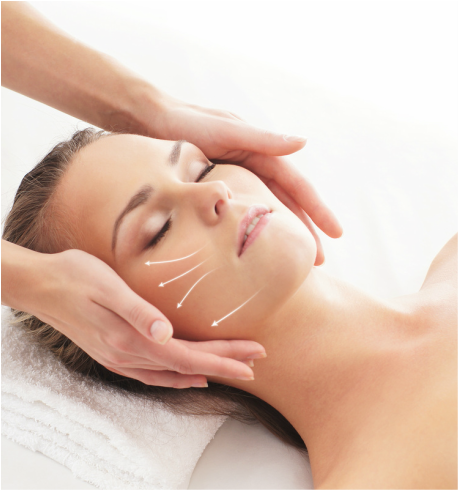 Now our facial sessions can get you into any state of mind you want. The key lies in activating your sense of smell through scents associated with the state you want to be in - zen, stress-free, fresh, you name it. Unlike other facial sessions where you are expected to settle down and relax as soon the session begins, our therapists guide you through a series of exercises so that you are relaxed even before your facial session begins. 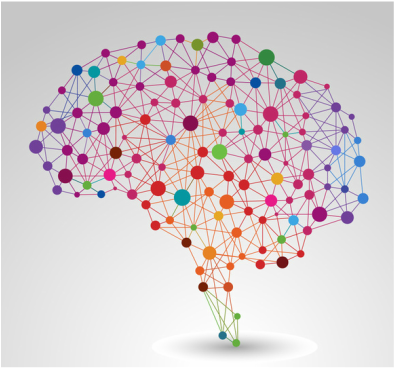 The result is an amazing mind-face-body experience that becomes the highlight of your day. One of our professional facial therapists will sit with you to determine your skin type, your skin's most pressing needs at the moment, as well as what you aim to achieve for your skin. A skin care plan of action will be drawn out and the therapist will share the steps she will take for the day's session. A list of ambience types will be presented to you. The ambience type you choose will be the one you'll experience for the rest of the session. This allows you to customise your surroundings to fit the mood you choose to be in. Your facial therapist will guide you through a series of breathing and stretching exercises to loosen up tensions and to clear your mind. This will help keep you in a state of relaxation during your facial, making it easier for the facial massages to take effect on you. Your facial therapist will cleanse your face, massage it and use a safe combination of products on your face for maximum effect. She will then put together a facial masque and leave it on for a few minutes before cleaning it off. 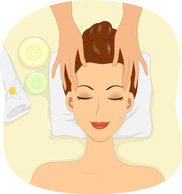 Your facial therapist will then make her last few touches before ending off with a shoulder massage. You will be served a warm cup of tea and your facial therapist will sit with you to provide a comprehensive summary of how the facial session went. The therapist will discuss how much progress you have made since your first facial session and where she sees future sessions heading. 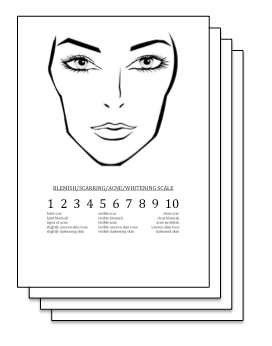 This will ensure that you are always kept up to date on all improvements your skin has made. Do you have such a packed schedule that you feel you can't make time to stick to a good skin care routine? Professional facial treatments do not need to happen daily, so you won't have to worry about making time every single day for a session. 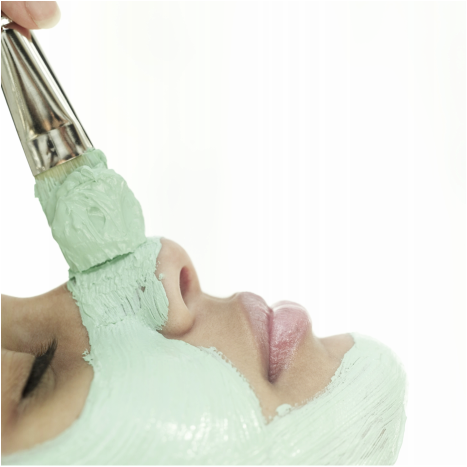 Facial treatments take place either once a week or once every two weeks, depending on your skin's condition. You only need to make it for those sessions regularly and you're already on an excellent skin care routine! 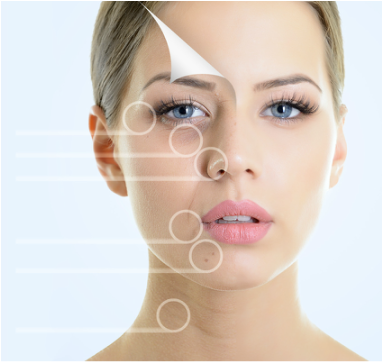 "Proper skin care helps to keep our outermost surface layer of skin intact. This layer maintains skin's overall hydration and serves as our primary defense against the environment, so keeping it strong and healthy is critical... 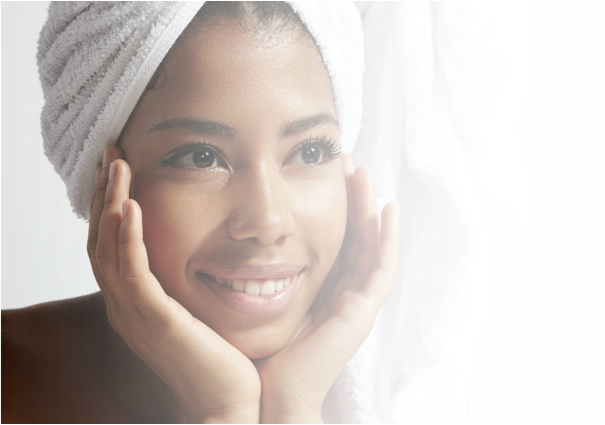 Using a proper skin care regimen can help preserve this important protective layer." Wish you knew which exact skin care products are the best for the different individual needs of your skin? With a professional facial therapist attending to your skin regularly, you will get access to credible skin care tips that work. The professional facial therapist will also decide which combination of the spa's range of products will be used at each of your facial treatment sessions, depending on the progress of your skin quality. This means that if you have both dry skin and a pimple, or sagging skin and discolouration, the professional facial therapist will know which problem to target first by analysing your skin type and skin sensitivity. This systematic approach in facial treatments allows for the skin to improve more effectively as no two clashing skin products are used at any one time, and the skin is able to breathe and to renew itself more easily. "Most people don't really know what type of skin they have so use products that aren't meant for them. Using the wrong products for your skin type will either fail to fix your problem or, worse, aggravate it." 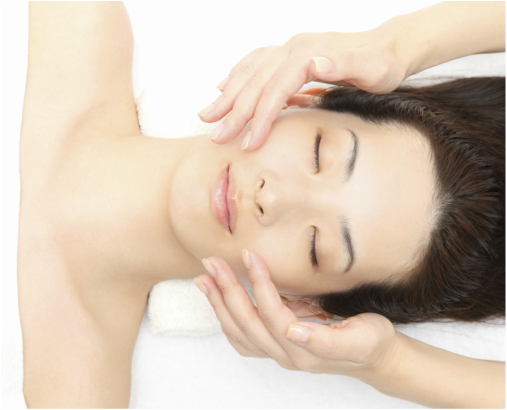 People who have experienced a facial massage say that it helps to relieve stress and softens fine lines. Facial massages relax the facial muscles and connective tissues. This helps to expel acne-causing toxins, and de-puffs as well as brightens the eye area. It also increases circulation -- oxygenating the blood and encouraging the presence of fresh, healing red blood cells. The result is total rejuvenation and a fresher, brighter face. 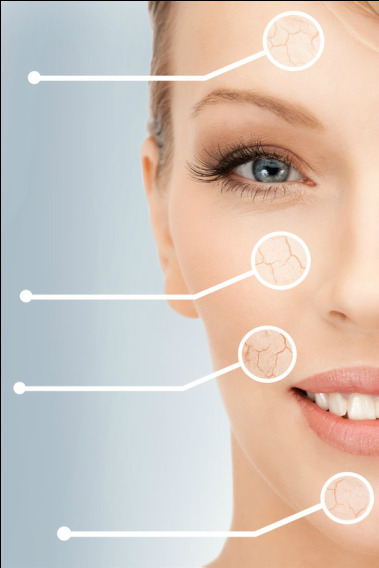 As unpredictable as environmental factors can get, so can the condition of our skin change. Regular, professional care for your skin means that constant, detailed attention is given to improving the quality of your skin. As such, any new and potentially upcoming skin problems can be nipped in the bud more quickly and efficiently. Over time, problems both old and new would have been targeted, and the skin's overall quality and vitality would see vast improvements. Deborah Coffey, esthetician and nutritionist, believes that professionally done facial treatments ensure the cleansing phase penetrates deeper into the skin, and that the basic steps of regular facials can help you keep your glow. "Naps can restore alertness, enhance performance, and reduce mistakes and accidents." 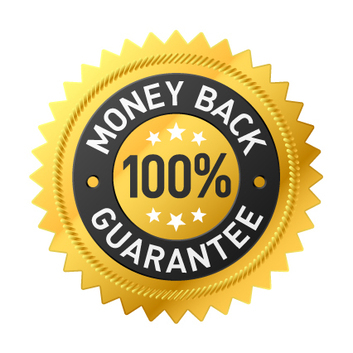 Aura Royalis Spa is confident in its services and will bear the risk by offering a 100% money back guarantee at no risk to you! Here's What They Have To Say About Us!